With the release of Public Beta 3 and Beta 4 for developers, the finial iOS 10 is coming soon. Here we will show you more details about iOS 10 for you to know about the biggest update for iPhone and iPad. Which iOS devices can run iOS 10? When will iOS 10 release? Apple has not announced the exact date that when will iOS 10 be released, but it is expected next month. Apple is already pushing beta 4 to develops and public beta 3 to everyone else. In iOS 10, the notification are broken up into bubbles and use 3D Touch to show hidden menu action. Just hard press on the calendar invite alert, you could be able to accept or decline it. With the 3D Touch, iOS 10 notification work even better for Messages. 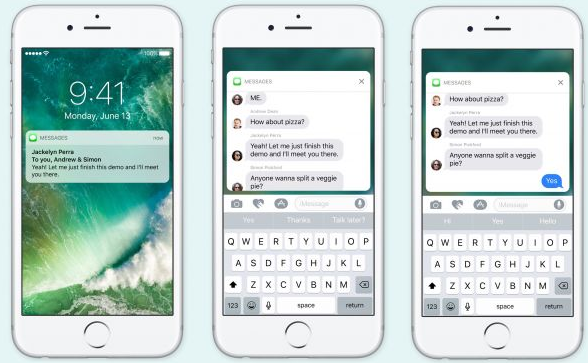 You can immediately respond to messages without ever leaving the lockscreen. The best changes of iOS 10 notifications is the ability to clear all of old notification with 3D Touch. It’s is very easy to clear away expired alerts with iOS 10 and it will please everyone inflicted with phone notification-clearing OCD. For the first time, Apple is giving app developers the ability to integrate with Siri. That means apps like WhatApp and WeChat can be controlled with your voice. Besides, Siri is using machine learning to give intelligent suggestions while you are in a conversation. That means if someone sends you an iMessage asking you where you are, Siri can suggest that you send your current location without typing anything. Intelligent suggestions also work for contacts, calendar availability, and more. 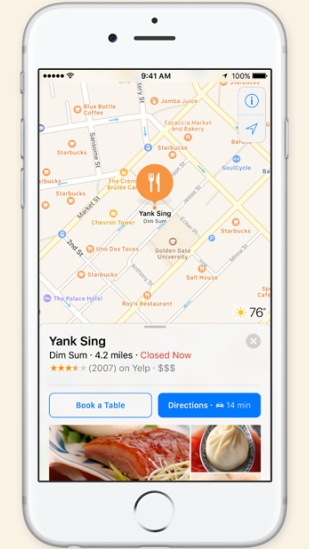 In iOS 10, Apple is adding new proactive features to Maps along with a complete redesign. For example, your iPhone knows you typically go to work around the same time so if you open Maps around then, it’ll offer to guide you around traffic to work. Apple added tons of new features for this frequently used app. When you receive a message with a videos link and it will play right in line automatically, and music can be played right from within the app when someone sends you a link to a song in Apple Music. Emoji are three times bigger on the keyboard, and Quick Type offers emoji suggestions. Handwriting and Digital Touch (like on the Apple Watch) are also now supported. 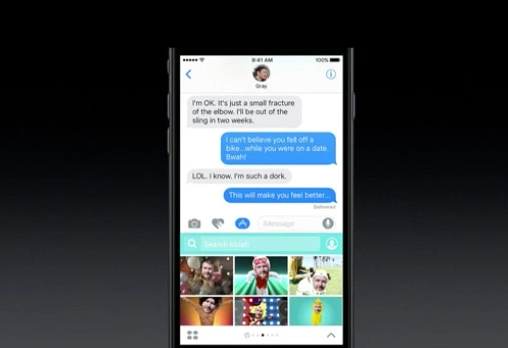 In addition, new bubble effects let users send messages with animated chat bubbles. They can grow larger for shouting, smaller for whispers, and there are some other effects as well. There are always some new features come out when the beta version out, like Notes collaboration, Live Photo updates, Split view in Safari. After overview these new features of iOS 10, are your looking forward to the final version? You could install and download the Public Beta version from here. To avoid losing data during the process, do not forget to backup your iPhone and iPad before upgrade to iOS 10. You could use iTunes, iCloud and iRefone to do the backup. Once you lost some data after update to iOS 10, don’t worry, you could use iRefone to help you recover lost data due to upgrade to iOS 10.